Cinnamon, za’atar and plain yogurt give this roasted butternut squash and parsnip soup a rich, warm flavor and irresistible creamy texture your whole family will love. Whenever fall rolls around, one of the first vegetables I can’t wait to start cooking with is butternut squash. It always pops up at my farmers market around late-September and remains there throughout the season. Versatile, nutrient dense and low calorie – I can’t stop dreaming up new and delicious ways to enjoy this nutritional powerhouse. 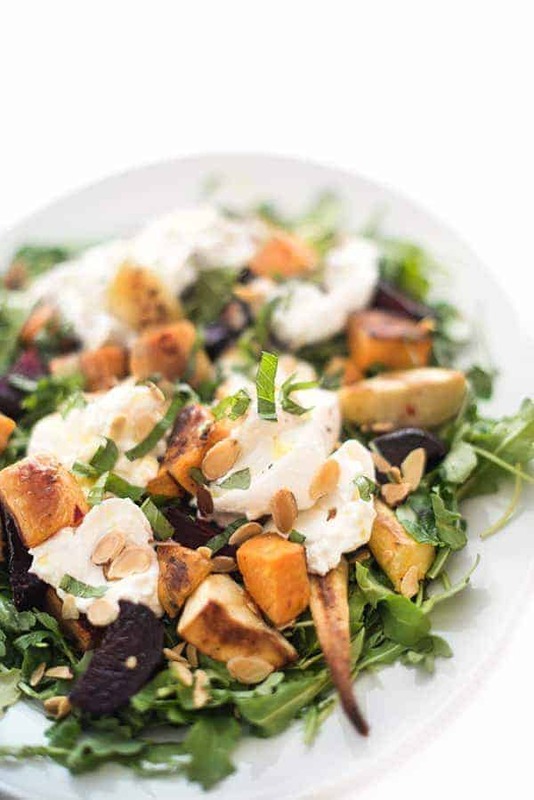 Although butternut squash is not technically a root vegetable, this recipe works with any of your favorite fall produce including carrots, turnips, sweet potatoes and more. 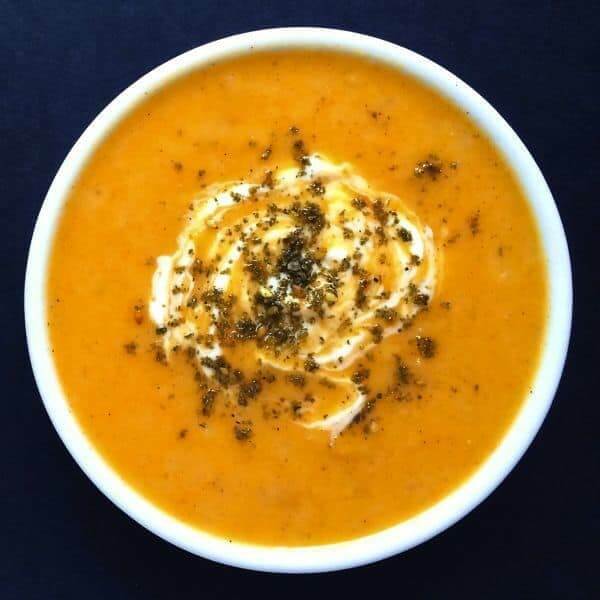 As I always say, this soup recipe is more of a method than a strict set of rules you must follow to a T.
We have been loving my All Purpose Lebanese Spice Blend lately but this dish would work very well with other warm spices like coriander, cumin, smoked paprika, garam masala and more. 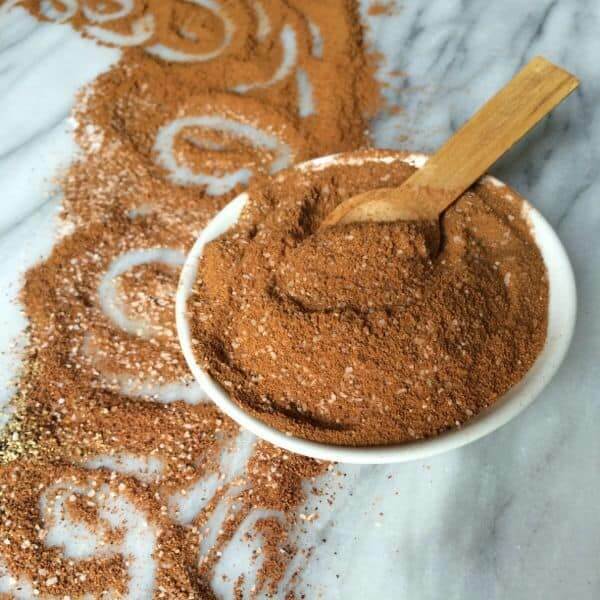 You can keep it simple and just use cinnamon or get crazy and come up with your own blend of spices. Before serving, I love to dollop each bowl with a garnish of whole milk plain yogurt and za’atar. 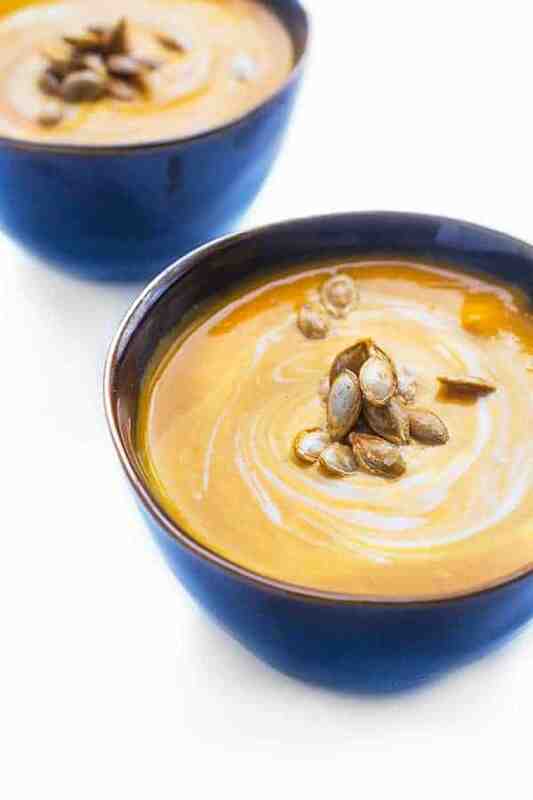 Not only does the yogurt cool down the soup so that my boys don’t burn their mouths but the tanginess adds balance to the warm spices and creamy squash. Cinnamon, za'atar and plain yogurt give this roasted butternut squash and parsnip soup a rich, warm flavor and irresistible creamy texture your whole family will love. 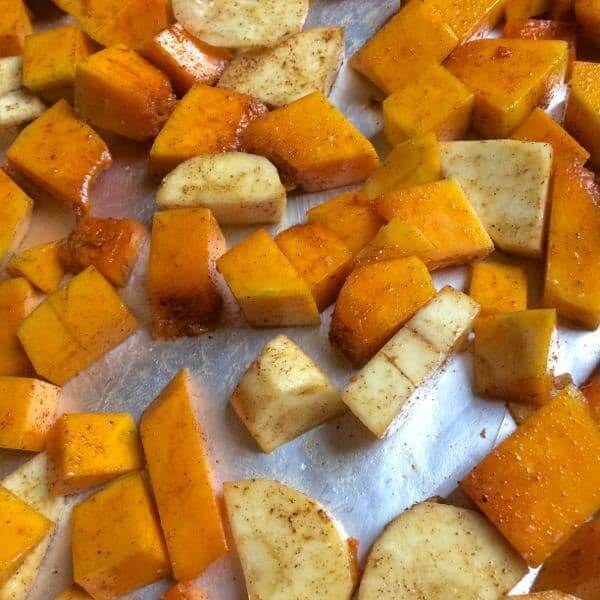 Place butternut squash and parsnip cubes in a large resealable ziplock bag along with olive oil and Lebanese Spice Blend. Seal bag and toss well. Spread vegetables in a single layer evenly between both pans. Bake for 15-20 minutes or until golden brown. Remove roasted vegetables from both pans and place in a large soup pot. Stir in chicken broth, yogurt and lemon juice. Puree until smooth using an immersion blender. Alternatively, you can puree in a high speed blender then return to a soup pot to warm. Check for seasoning and adjust accordingly. Sprinkle each bowl with za'atar and another dollop of plain yogurt, if you wish, before serving. Disclosure: United Dairy Industry of Michigan has compensated me for my time to create this recipe. Thank you for supporting the brands that make The Lemon Bowl possible. As always, all thoughts are 100% my own. It looks great! Does this freeze well? I like to freeze my soup if it doesn’t get eaten 2-3 days after I make it. I still have some za’atar I brought back from Jordan, but I’m not much of a bread person, so I’ve been looking for a way to eat the za’atar without the bread. 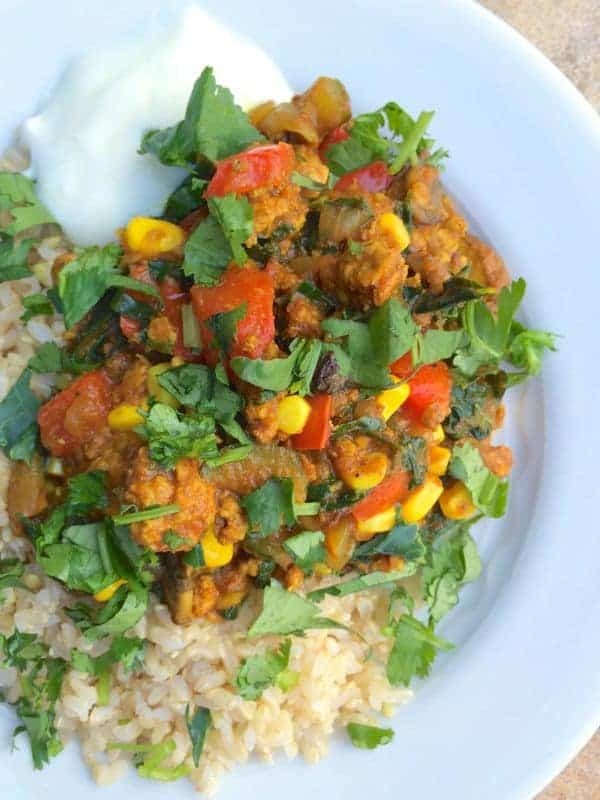 This recipe is perfect because it calls for everything I have leftover in my CSA box! Yes this freezes really well, Esther! BTW We use za’atar ALL The time on salads, roasted/ grilled vegetables and more. Search “za’atar” on my website and you’ll find lots of recipes. Enjoy!! How do I make Za’tar at home ? what should i substitute thyme and sumac with ? as i dont find both of them where i live . Hmm…. just leave them out! You could always do this with cinnamon and it would be good. I don’t use Za’tar nearly enough. I love it, and need to incorporate it more because this sounds so good. Once you remember to start using it, you’ll be using it in every. thing. STUNNING photos, and recipe, Liz! I usually go with curry powder in my squash soup, but I’m digging this za’atar idea. As luck would have it, I have both a squash AND za’atar on hand. Hmmmm. Wonder what I’ll be doing this weekend? You’re so sweet – thank you so much!! I hope you make it!! I love the spice combination you used, I bet this soup is delicious! We have been trying to make more soups at home! I love adding new recipes to try! Lately I’ve had a strong desire to pour za’atar over all the things. And this is no exception. SO excited to get this in my belly! I can’t stop pouring it over everything! Liz, this looks so luscious and comforting. Za’atar is not a spice I’ve tried before — I am adding it to my list! I hope you try it Erika! Super versatile!! This recipe sounds like a real winner. I’d have to sub for the parsnips because neither my husband nor I like their flavor, but I love the idea of butternut squash and za’atar. Actually, I think just about anything would be good with za’atar… Rutabagas might be a good choice in place of parsnips. Yes I love that idea Susan!! This is GORGEOUS! I need to make this now! I made butternut soup last night. It was nowhere near as good as this one and I’m jealous. I LOVE za’atar. making this very soon! Oh I bet yours was amazing!!! I love that you used a mix of root vegetables! 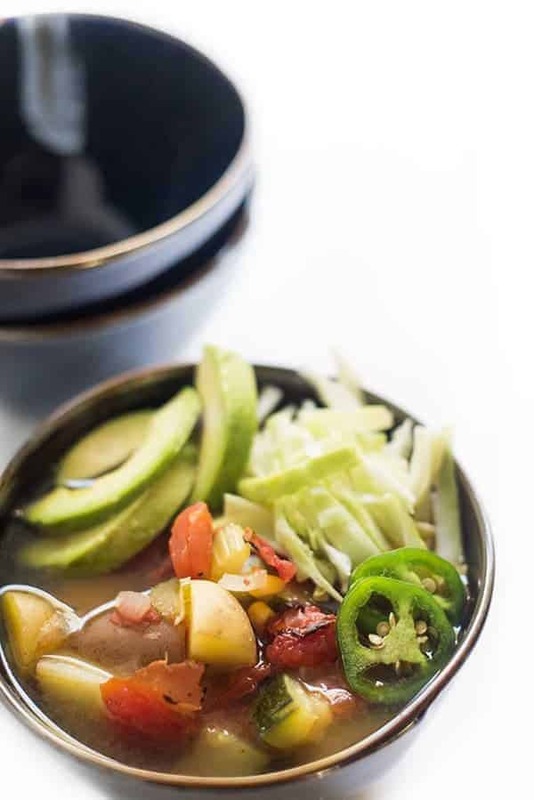 Those kinds of soups are typically what I gravitate towards in the winter! Yes I love adding various combos of veggies. We are on the same page! Wow! This looks incredible. Your photos are gorgeous. 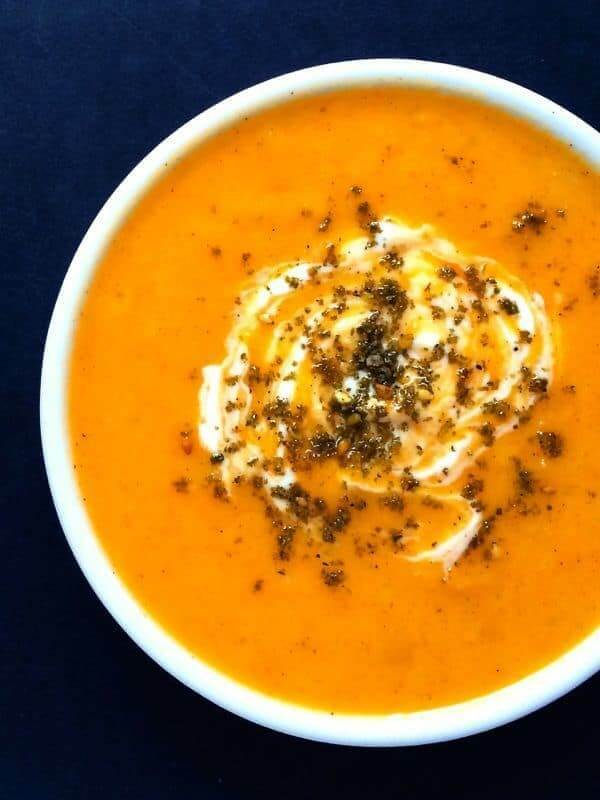 I’ve never worked with Za’atar, but I’m looking forward to experimenting with it as I absolutely love any kind of butternut squash soup. It’s perfectly fall in a bowl. Love the low calorie count, too! Thank you so much! I really love za’atar – it’s really versatile and adds a really addictive toasty, earthy flavor to dishes. This looks like one GORGEOUS bowl of soup, I’d like to dive right into it, with a spoon of course! What a perfect soup! My spoon is definitely waiting!! 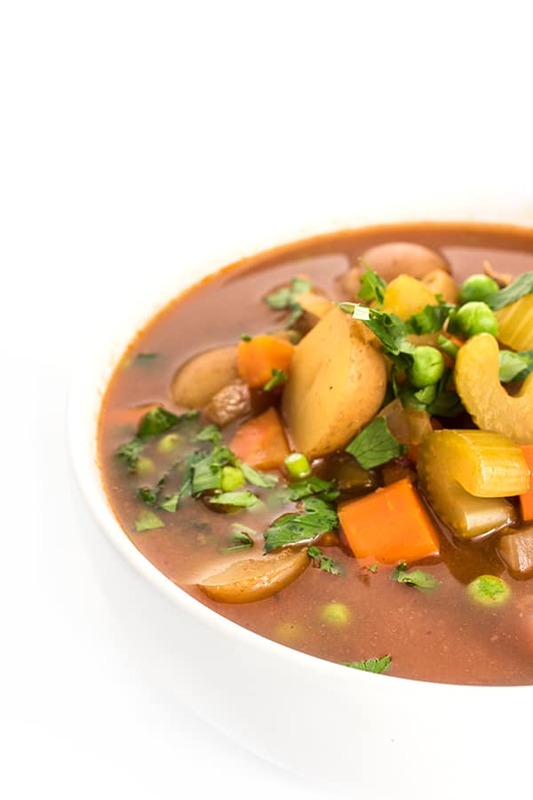 Roasted veggies are the best, and this soup sounds like pure fall heaven. It really is fall heaven!! Thanks Aimee!